FACTORY OPTIONS INCLUDING :- SMG DRIVELOGIC GEARBOX, NAPPA LEATHER, CLIMATE CONTROL AIR CONDITIONING, CRUISE CONTROL, ELECTRIC GLASS SUNROOF, BRUSHED ALUMINIUM SHADOW INTERIOR TRIM, M DOUBLE-SPOKE 19” ALLOY WHEELS, PROFESSIONAL SATELLITE NAVIGATION, ENHANCED BLUETOOTH FUNCTION, MINI DISC PLAYER, 6 DISC CD CHANGER, BMW ASSIST, HARMON KARDON HI FI SYSTEM, VOICE CONTROL, ELECTRIC SUNBLIND TO REAR WINDOW, FRONT CENTRE ARMREST, EXTENDED STORAGE, HEATED FRONT SEATS, REAR SIDE AIRBAGS, ELECTRIC FOLDING MIRRORS. TRACKER SYSTEM FITTED. The BMW M3 remains the only car ever to have earned more titles than the Porsche 911 in motorsport, and also is the most successful touring, and grand touring car ever to have participated in racing. Gearshifts are made via the SMG gear knob or the steering wheel mounted paddle shifters. The engine has a red line of 8,000 rpm. As with most M engines, the 3.2 litre S54 again had 6 independent throttle bodies but this time they were electronically-operated (drive-by-wire throttle with no cable). Its power output was 343 PS (252 kW; 338 BHP) @ 7900 rpm. This M3 coupe is probably in as close as you will find to “showroom condition.” It has been carefully looked after since new and has always been garaged. Certainly everything looks just as fresh as the day it rolled off the BMW production line. 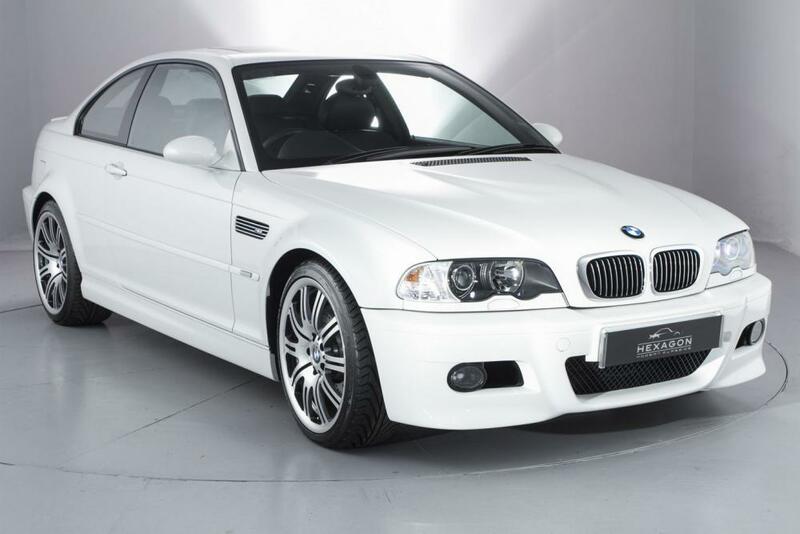 With full BMW Service history, and its ultra-low mileage, this M3 is a truly rare find for the BMW collector.